A unique, insightful, and practical look into the enormous power of past life regression therapy to unlock a healing pathway that can help you resolve enduring personal issues, enrich your life, and answer burning spiritual questions about your purpose on this earth. In this rare and fascinating intimate glimpse at past life regression therapy, licensed therapist Ann Barham invites us into her office as she helps her clients mine their unconscious memories for the key past life experiences that can provide specific guidance for their current situations. No longer simply the stuff of new age practitioners, past life regression therapy is a powerful tool that can improve your understanding of your personal challenges and deepen your connection with the world around you. Barham demystifies this intriguing phenomenon, sharing her client’s astounding stories, each a clue to the profound influence the personalities of the past have on our thoughts and actions today. As modern science and technology advance at overwhelming rates, many of us crave the healing insights and feelings of eternal love that survivors of near death experiences frequently report. Through past life therapy, everyday people are able to experience prior lifetimes all the way through their deaths, tapping into abiding spiritual truths and answering essential questions about human existence. Ann C. Barham is a licensed marriage and family therapist and a certified regression therapist with training in transpersonal psychology, hypnosis, therapeutic imagery, and trauma release modalities. Throughout her nearly twenty year career, she has evolved her practice to merge her interest in spirituality with her counseling work, now focusing almost exclusively on past life regression therapy, which she believes has the greatest healing impact for her clients in the shortest amount of time. She lives in California. 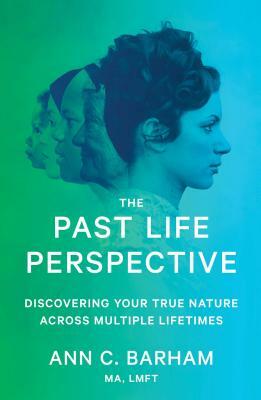 "A wonderful book that helps the reader understand the eternal nature of our existence, as evidenced in fascinating past life stories from actual clients. The spiritual advice that comes through clients' higher guidance rings true! It is a must read if you are interested in matters of the spirit and how we embody our souls in human form."